It was announced on Wednesday that Bryce Harper was the leading vote-getter in the National league for the first update of All-Star voting. On Wednesday night at Wrigley Field off Jon Lester, he hit his National League leading 18th home run of the season. It was a shot to the opposite field that didn’t need wind, just like Harper said when the series started. It was his 18th home run of the 2015 season, this time he was the one tying Nelson Cruz (who earlier in the afternoon hit his 18th of the season as well) – how many times have these two guys homered on the same day this year? We continue to marvel at the power Bryce Harper has to the opposite field. He’s now on pace for 62 home runs on the season.
.@Bharper3407's 13 home runs this month are the most in a single month in #Nats history (2005-pres). Alfonso Soriano had 12 in May, 2006. I remain convinced this is the Bryce Harper we would have seen since 2013 if he never hit the fence. When he's healthy, he conquers worlds. 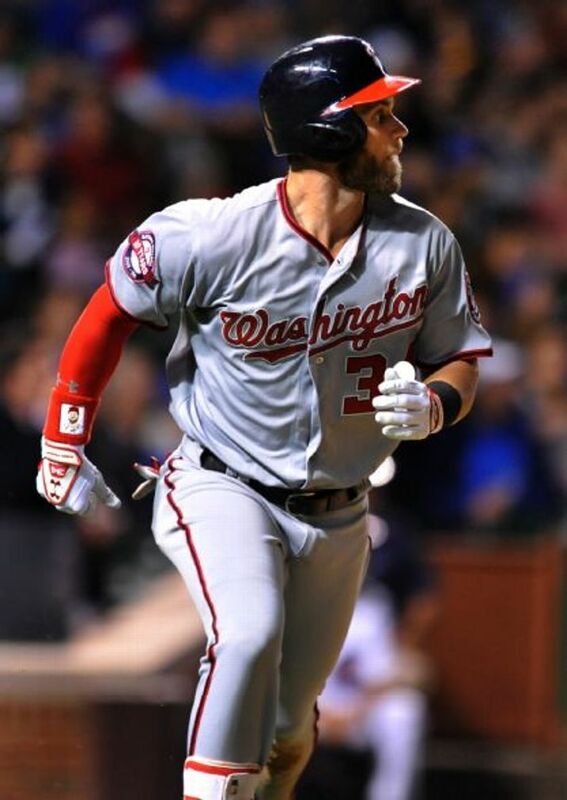 Bryce Harper now has 8 HR in the 10 games Max Scherzer has started this season and 10 HR in the 37 games started by everyone else.